Richard S. Jaffe is the Senior Partner of the Birmingham, Alabama law firm of Jaffe, Hanle, Whisonant & Knight, P.C. 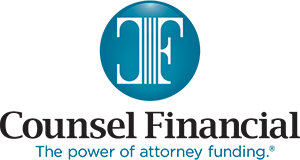 The firm concentrates in the area of criminal defense and personal injury, with Mr. Jaffe specializing in the areas of white collar criminal defense and criminal litigation in the federal and state courts. Mr. Jaffe has been board certified by the National Board of Trial Advocacy as a Criminal Trial Specialist since January 31, 1984. (Copyright 2006 by Woodward/White, Inc., of Aiken, S.C.). Mr. Jaffe began his career as an Assistant Attorney General for the State of Alabama, then served as a Deputy District Attorney, before entering the private practice of law in 1978. He is past president of the Alabama Criminal Defense Lawyers Association, and the founder of the Greater Birmingham Criminal Defense Lawyer’s Association. Best lawyers of America named Mr. Jaffe “Lawyer of the year” in non-white-collar criminal defense in Birmingham for 2010 and 2015 and “Lawyer of the year” in white-collar criminal defense for Birmingham for 2013. 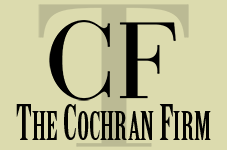 In 2014 Super Lawyers listed him among the top 10 Super Lawyers in Alabama. Mr. Jaffe is a sought after speaker to legal organizations and trains lawyers on trial strategies and communication skills throughout the United Sates. In 2015 Best Lawyers of America lists him in both white-collar and non-white collar criminal defense. He is serving his 4th term as a Board Director for the National Association of Criminal Defense Lawyers (NACDL). Mr. Jaffe has handled over sixty capital cases, including 5 federal death penalty cases. Only one of his clients has ever received the death penalty, and none have been executed. His acquittal rate is among the highest in the country. He is the only attorney in the nation who has successfully defended three death row inmates at new trials after they had previously been sentenced to death. He and his firm have participated in numerous other acquittals of individuals facing serious punishment, both at trial and on appeal. In addition, Mr. Jaffe has successfully represented many individuals and corporations facing significant sentences for violations of Federal Criminal Offenses. From 2000 until 2008 Mr. Jaffe served as co-counsel as the personal lawyer of Birmingham Mayor Bernard Kincaid. Mr. Jaffe is licensed to practice law in New York, Georgia, D.C. and Alabama. In 1994, the Alabama Bar Association awarded him the prestigious Clarence Darrow Award for the contributions he has made in defending indigent people charged with criminal offenses. In 2002 The Alabama Criminal Defense Lawyers Association (ACDLA) presented Mr. Jaffe The Roderick Beddow Award, it’s most prestigious award field- "in recognition of a lifetime achievement in the practice of criminal law." Mr. Jaffe is a Fellow of the American College of Trial Lawyers (ACTL). Click her to view Mr. Jaffe's in the news videos.